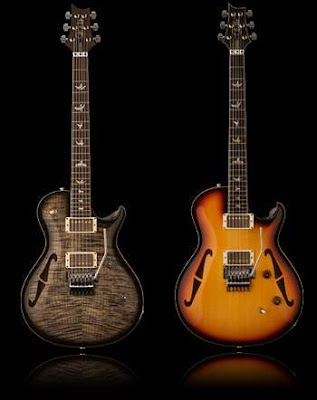 Neal Schon of Journey is joining the Paul Reed Smith (PRS) family of artists with two distinct signature models: the NS-14 and NS-15. Neal was intimately involved in the design of nearly every aspect of these instruments…from the stylized f-holes to the hardware details. The NS-15 is a thinline hollowbody based on the Neal Schon limited edition Private Stock guitar offered in early 2012. Schon release his latest solo album, “The Calling,” last fall.